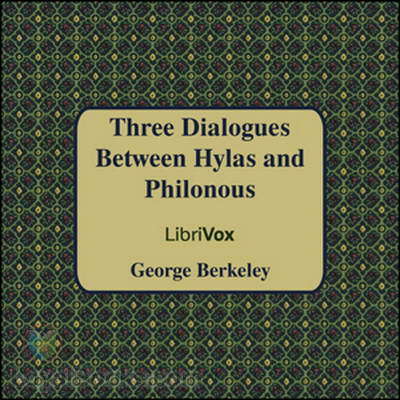 The dialogue is between Hylas and Philonous and in the second dialogue, Philonous explains to Hylas of his idealist perception. He believes that what is in the world are ideas and those minds that develop them. These minds he refers to them as spirits. He explains to Hylas that there are two aspects of ideas; the perceived ideas and imagined ideas. Imagined ideas are not of real things because they are as a result of our imagination. He also explains that the ideas that exist our minds are also not reals but simply ideas. He considers sensations as real. He considers distinguishing sensations from ideas as the ways of distinguishing real things from ideas that are fictional. He considers sensations as aspects that come involuntarily meaning that we do not cause them. Form this understanding then sensations come from another being which is God. God is, therefore, the source of all our ideas because he is an infinite being with an infinite perception. An object, therefore, exists because God exists. All things exist because God perceives them. God thus uses the laws of nature to allow us to access these ideas. The notion that God is the source of all our ideas seems flawed. This is a notion that conflicts with the aspect of free will. If God is in control of what we perceive as ideas, then He has a substantial amount of control of our minds and the ideas we have of ourselves and that of the world. According to Philonous, God is infinite and ultimate. He is the perceiver of all things. He is what makes things exist including the ideas that exist in our minds. As the ultimate and infinite perceiver then God has a high level of control over our perceptions and ideas. This contradicts with the concept of free will which is associated with our perception independent of influence other than what is already in existence in the world as sensations. A substantial objection to the concept of ideas by Philonous is the one presented by Malebranche. He brought forward the doctrine of Vision in God, as our direct connection to God. The universe is associated with a form of harmony which is characteristic of a more powerful being in control. Philonous’ perception of the world and existence of senses as spiritual, yet they are physical. The assertion of the world as spiritual pushes further than what we seem to perceive the world is not as much as it is. There is, therefore, an idealistic perception on one side, and there is the ordinary view of the world. The idealistic perception causes many differences in and begs the question of whether such perceptions of the world as spiritual as true or false. The idealistic approach brought forward by Philonous has many loopholes. The idealistic approach is, therefore, too broad and thus requires more arguments to strengthen it. It is, therefore, important to say that Philonous associates sense with spiritual aspects of the world that are perceived by God, who is also a spirit. This is an argument that is insufficient in explaining the full cause of our ideas because they cannot all be spiritual.